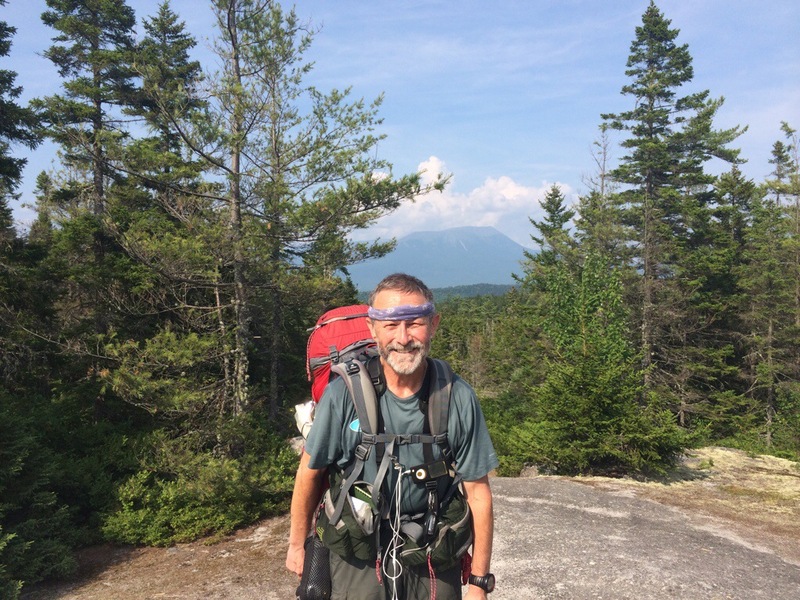 Hurd Brook Lean-to, ME, AT NOBO mile 2,166.7, Sunday August 3, 2014 — Finally! 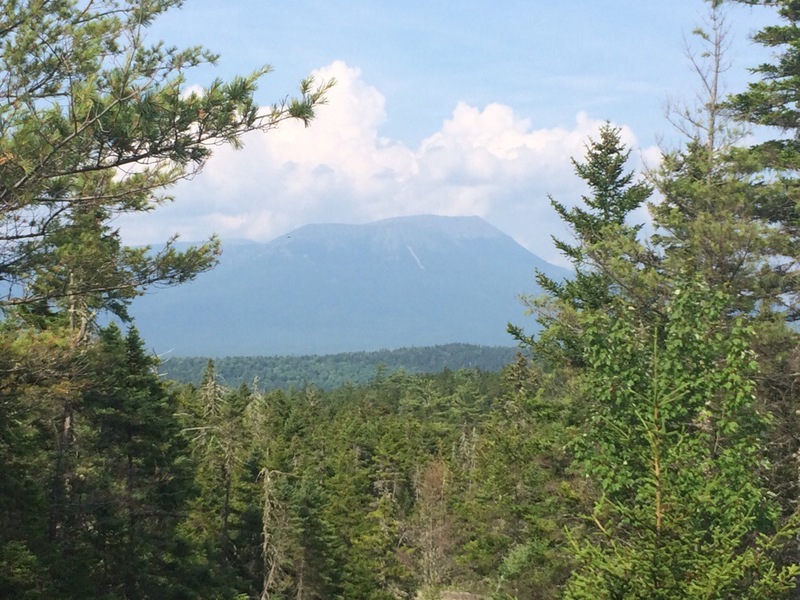 A clear view of Katahdin. Not the best , mind you, but at least the camera saw it clearly and unmistakably. 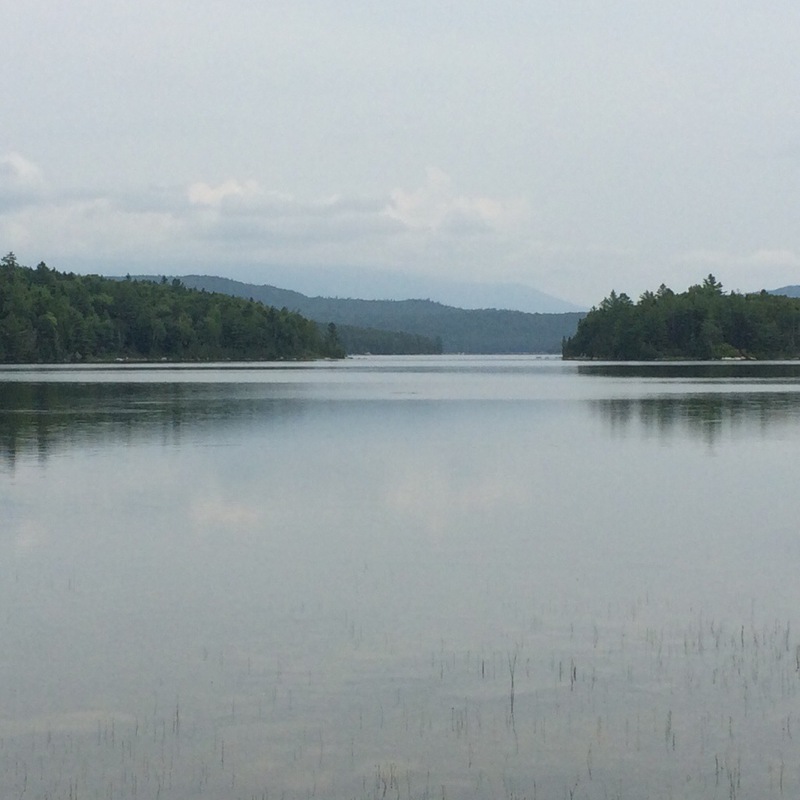 Katahdin rises like a ginormous humpbacked whale breaching a flat ocean surface. It’s simply overwhelms everything around it. Simply put, it’s impressive. I actually was so l busy picking blueberries, which are ripening on the rainbow ledges where hikers get their first up-close and personal view of the mountain, that I almost missed it. I looked up just at the right time. The sight took my breath away. Photos do not do it justice. 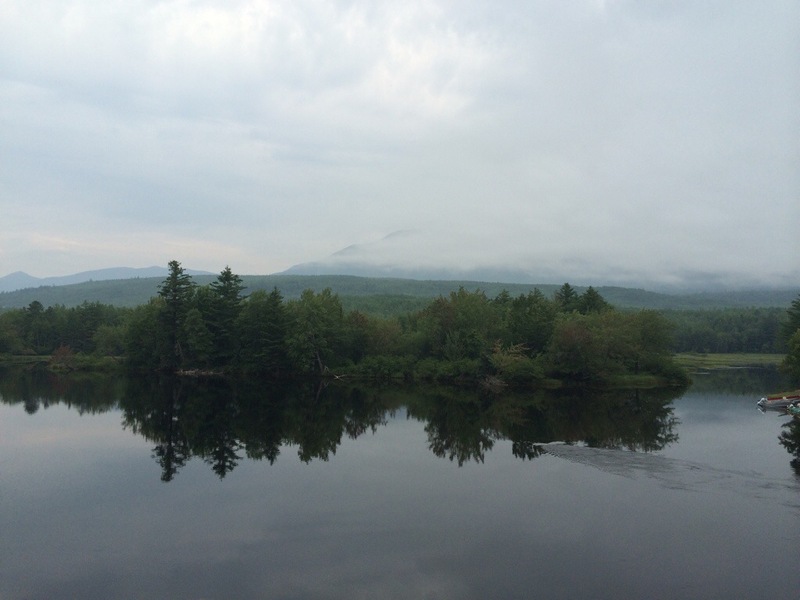 Earlier this morning a longer distance view was very hazy with Katahdin barely visible to the camera. I’m disappointed in my photo ops so far. Tomorrow it’s breakfast at the Abol Bridge camp store, then on to The Birches where thru hikers stage for their assents. The weather remains a mystery given how long it’s been since I saw a forecast. One caveat. The mountain is closed by the park rangers if weather conditions endanger hikers or possible rescuers. If that’s the case, I may have to hang in Millinocket until it clears. I’m hoping for a clean first attempt. Thirty five pounds since the beginning. Now to keep it off. Jim! 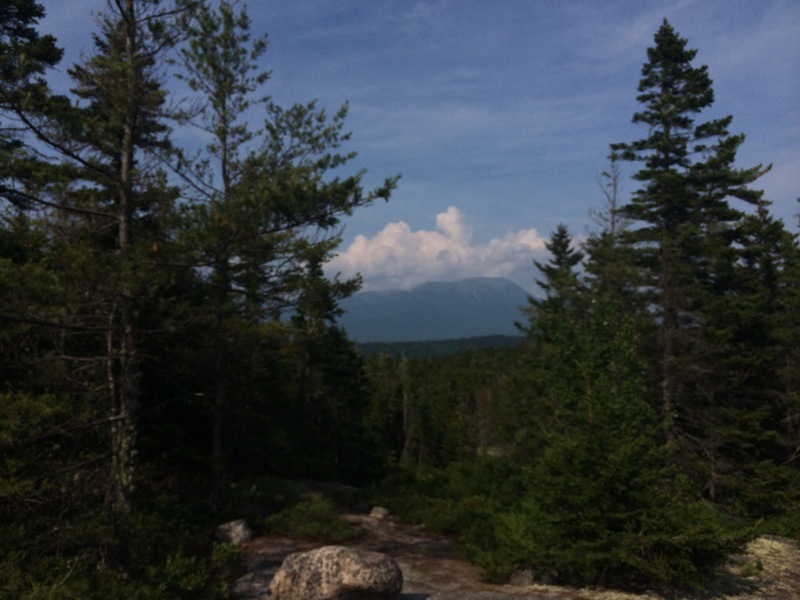 Your crown jewel is in sight; May your ascent of Katahdin bring you joy and rich rewards.